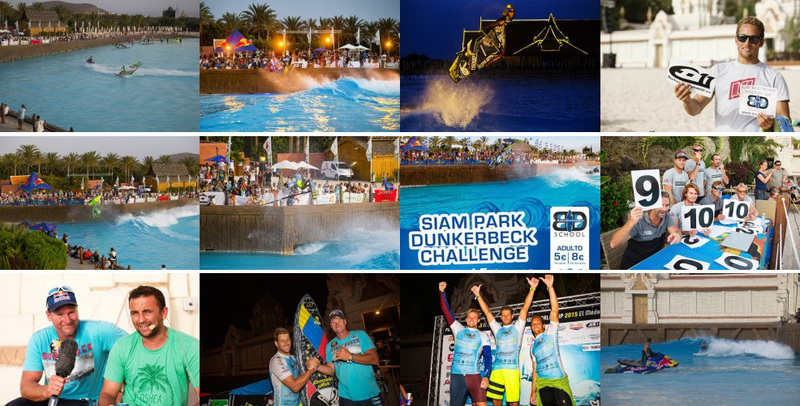 The 2015 Tenerife PWA World Cup was signed off in spectacular fashion on the final evening of the event as ten of the best sailors in the world headed to Siam Park for the Dunkerbeck Challenge. Siam Park boasts the largest artificial wave in the world – reaching almost 10 foot on its maximum setting – which provided the wave sailing elite with the perfect stunt ramp to launch into their most radical stunts right in front of a packed out crowd – bringing windsurfing to a new scene and reaching a new crowd in the process. With over 15 countries and 80 competitors taking part 2015 the competition has gone from strength to strength. The completion was hard fought in all categories. The winds were not as strong as 2014 but we managed to achieve four quality rounds for each fleet. With a wind average of 25 knots the most chosen board type was a 54 speed board with the sail combination of 6.2 and 7.0. A record number of entries including the largest number of youth and junior entries were fighting it out for their European speed titles. We were especially proud to have also six couples in the “father & son” fleet this year what reflects the concept of the Dunkerbeck GPS Speed Challenge. We are looking forward to the Dunkerbeck GPS Speed Challenge 2016 and will publish the new dates as soon as possible. 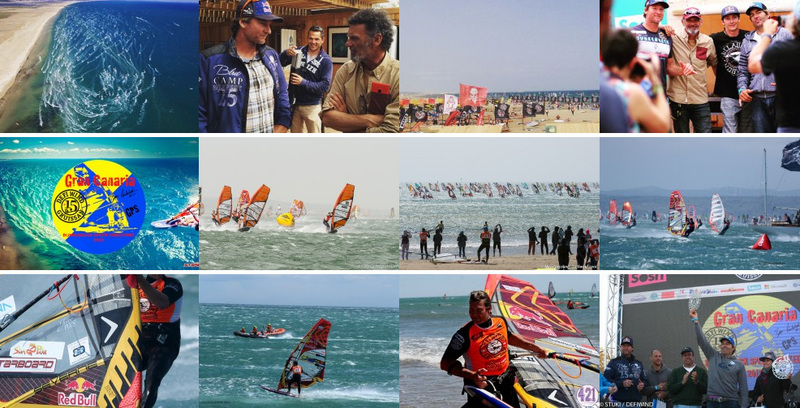 A new „windsurf event format“ is born. 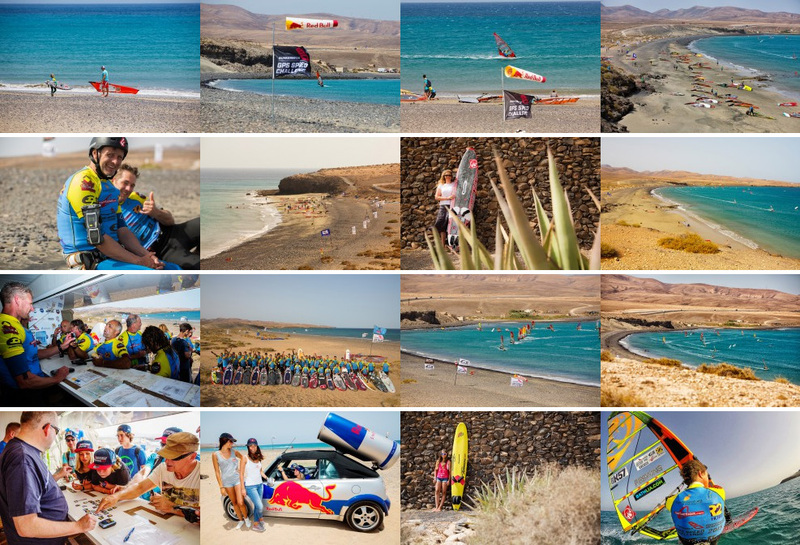 The biggest long distance event in the world- „Le Defi 2015“with over 1200 participants hosted the new GPS Event form Björn Dunkerbeck for the first time. 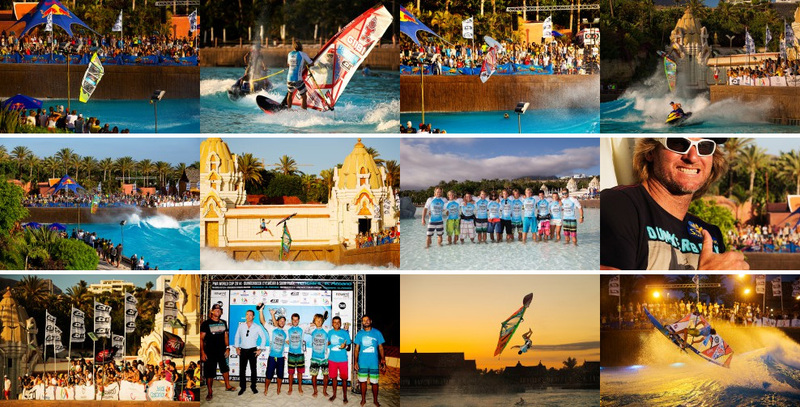 With the help of the main sponsor „Gran Canaria“ the 16th of May ca. 130 „Defi Competitors“ were fighting for the fastest 250m run measured by their GPS device. Under very rough conditions with gusts of 60 knots managed Antoine Albeau (22 times windsurf- world champion) to be the fastest one before Peter Bijll and Björn Dunkerbeck. The female ranking won the Turkish rider Lena Erdil (vice slalom world champion). The innovation is the virtual GPS Speed challenge at the same time. All windsurfer around the world could compete against each other and the competitors of the event with their GPS. The number of participants was amazing. More than 300 riders from almost 20 countries uploaded their times on the website www.gps-speedsurfing.com. This new event- format will give more windsurfers the possibility to compete without traveling around the world with huge board bags. You can do it from your home spot where you know the conditions very well. The philosophy of Dunkerbeck GPS Speed Challenge is to inspire again more windsurfers for the speed discipline. 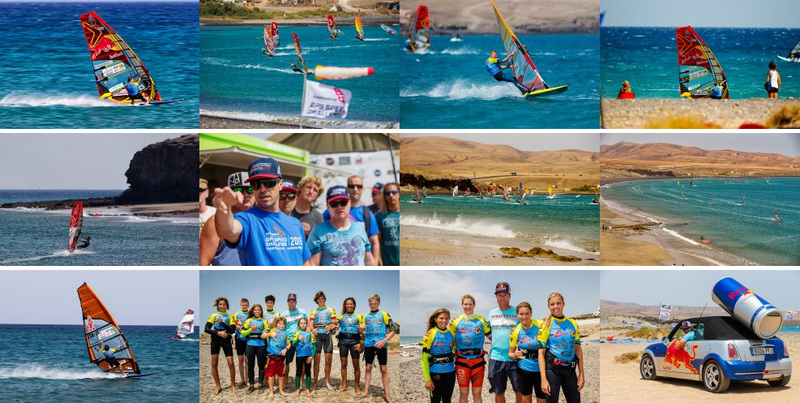 With the format “professional / amateur event” – open to all age-classes- we bring together windsurfers who want to set their personal best or would like to defend their times against other riders. The GPS technology gives us the ability to determine the average speed on a 250 meters or 500 meters course of each competitor. The timing, execution and placement is managed by the colleagues of www.gps-speedsurfing.com. 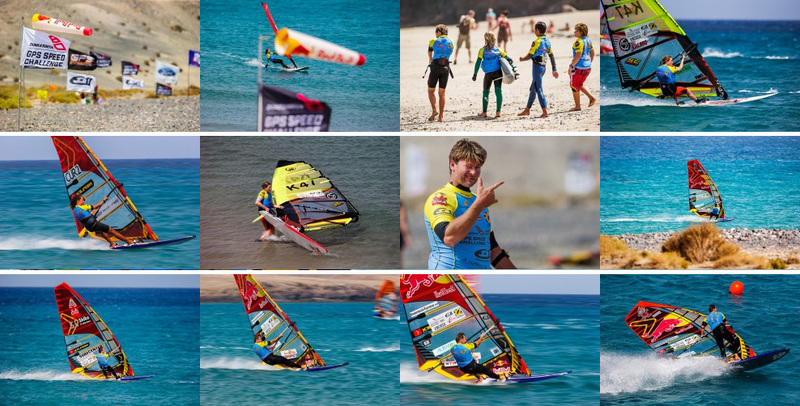 The bay of Matas Blancas on Fuerteventura offers the best wind conditions (angle and speed) for our Dunkerbeck GPS Speed Challenge. 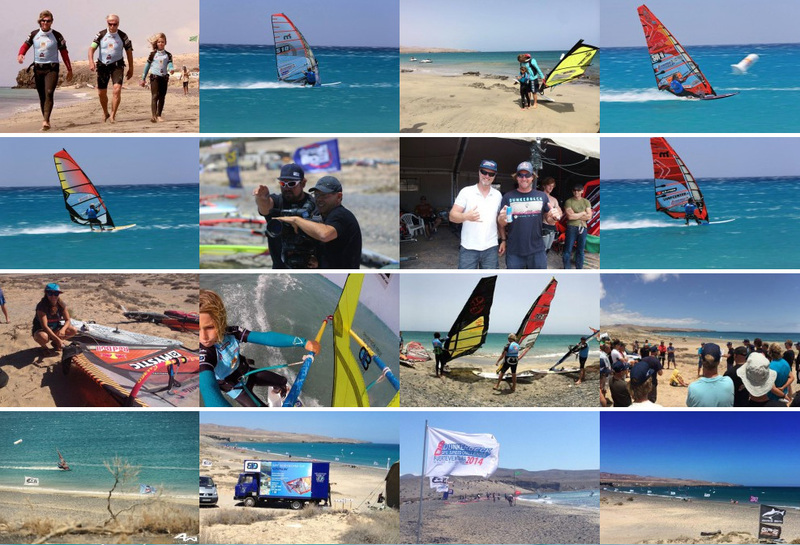 With almost 60 participants including three members of the “50 knots club” and women’s record holder Zara Davis, local riders, international competitors and good wind conditions it was a successful and promising first Speed event in the bay of Matas Blancas/ Fuerteventura. We are looking forward to next year’s event and hope to increase especially the number of participants in the “Father & Son”- fleet – the main idea of the Dunkerbeck GPS Speed Challenge concept. Bjorn brings together the Red Bull Rival and offers the best surfers of Spain the challenge to surf the world’s largest artificial wave. Once the riders come together in Lanzarote for the big Red Bull Rival Surf contest Bjorn brings them to the island of Tenerife to surf the world’s largest artificial wave in the water kingdom “SIAM PARK”. There a big audience will have the chance to see very high leveled surf action as close as possible. The event will be a great festival of Surf with hot music and cool drinks at the beach of the wave pool in the Siam Park. Besides his career as a professional windsurfer, Bjoern has also set out to explore the world’s best surf spots. Traveling to the remotest corners of the planet, Bjoern is always on the lookout for new and exciting spots that make a windsurfer’s heart beat faster. The spirit of “The Search” is all about a journey of discovering pristine and remote windsurfing gems, providing you with stories and pictures from the most interesting parts of our planet. And for those who have ever challenged Mother Nature’s pride, The Search never ends! The World Sailing Speed Record has now stood for nearly thirteen years and is all about beating the fastest time ever measured in the history of this sport. The current record took place 13 years ago, when an Australian vessel set the mark at 46.52 knots (86.16km/h) in open water and natural settings. Although many millions of dollars have been spent since and countless new technological developments have been applied, no one has been able to go faster than that. Under the jurisdiction of the International Sailing Federation and the watchful eye of a Commissioner of the World Sailing Speed Record Council, challengers still try their luck and sail over a 500-meter distance, during which the average speed is determined.Four giants in sailing – Antoine Albeau, Anders Bringdal, Björn Dunkerbeck and Robby Naish – have decided to challenge the fastest speed sail boat to date and meet at different places around the globe to complete their mission.Their first mission will be to shatter the current record of 46.52 knots (86.16km/h or 53.53mph). Their second mission and the perhaps most coveted price of any sailor will be to break the 50-knot barrier. Some consider it impossible – but the challengers see it definitely within their reach!